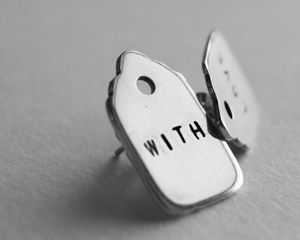 Rebecca's jewellery has progressed from an interest in material investigation and our attachment of memories towards objects. 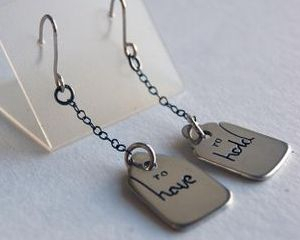 Beginning with paper tags, Rebecca she was questioning the value of the final pieces made from paper rather than metal. 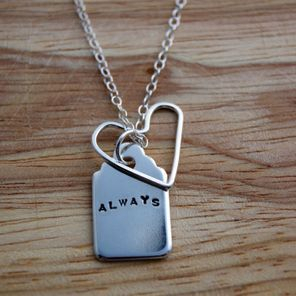 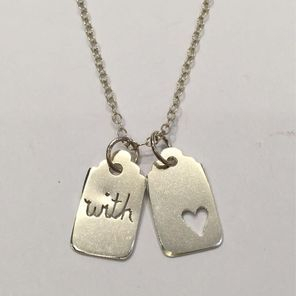 In her most recent work she has taken the recognisable shape of the paper tag, and recreated this in silver, looking at the sentimental value of the tag and making it more permanent. 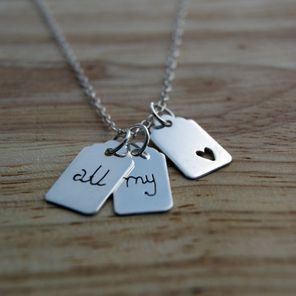 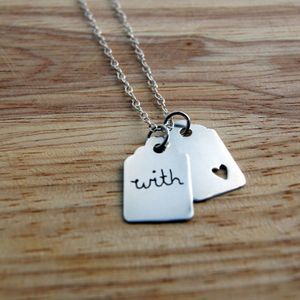 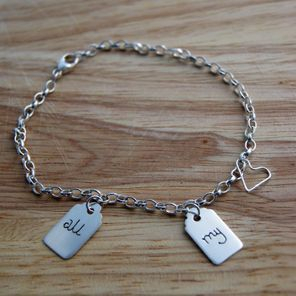 The tag is also known for providing information, or sending a personal message from one person to another. 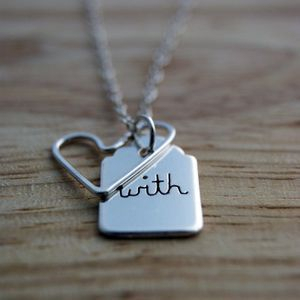 Usually to someone who you care a lot about. 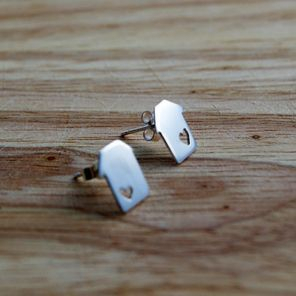 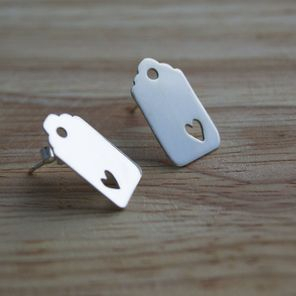 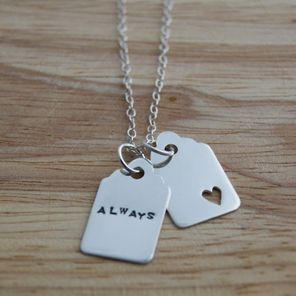 Rebecca was interested in adding this quality to her jewellery, each tag is hand cut from silver and stamped with a message that can be customisable to the owner. 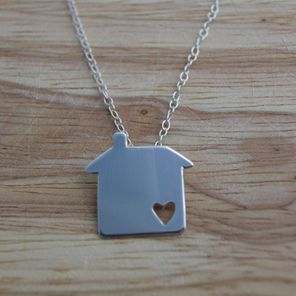 Rebecca believes that this illustrates the concept of handing down jewellery or the giving and receiving of jewellery from a loved one.